Just something to throw out there. You might look up Tal & Hadas. 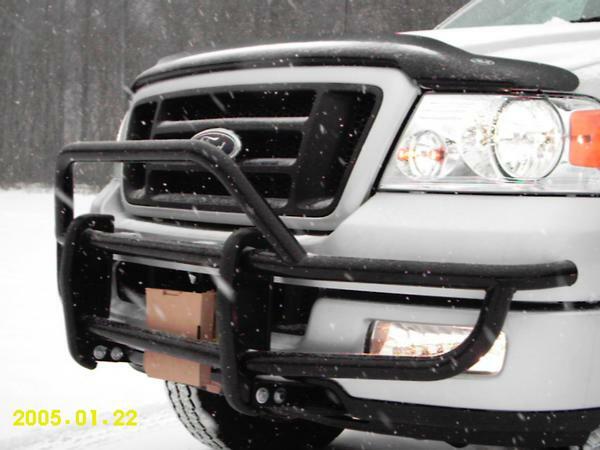 They have a very good looking bull bar in black or stainless. I had one on my sport trac and got lots of compliments. my vote is for the stainless bull bar. dzervit, your truck looks great. I'd go with something that doesn't make you take your tow hooks off. Seems like everyone likes the bull bar better! Anybody make HD type nerf bars for 04 F150s?? ?